This entry was posted on 6 November, 2016 at 12:40	and is filed under Aktie, cultureel erfgoed, cultuur, Idee, Integratie, Leefbaarheid, Media, Opinie, Politiek, Uncategorized. 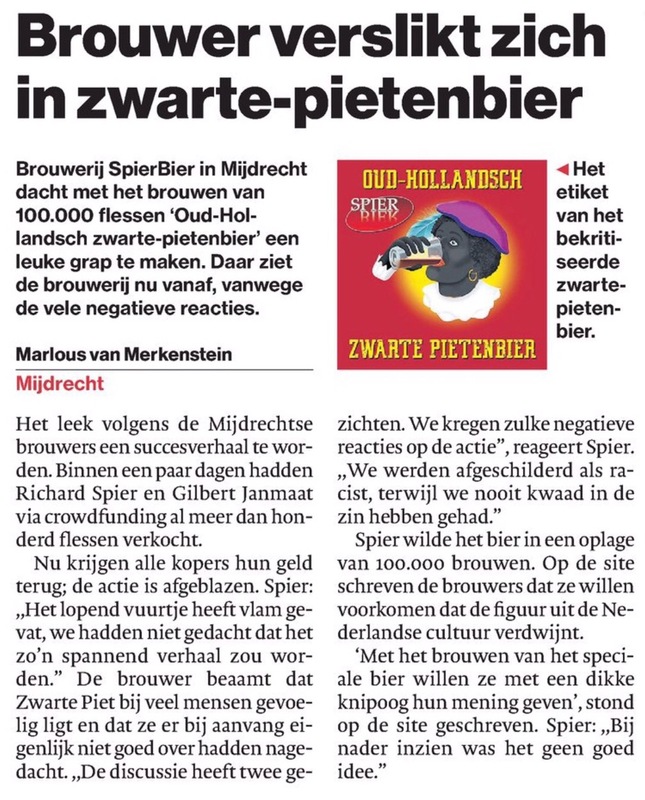 Tagged: crowdfunding, Idee, protest, verdraagzaamheid, Zwartepietenbier. You can follow any responses to this entry through the RSS 2.0 feed. Both comments and pings are currently closed.